Select your experience or gift product from the search options as on the top menu bar of the home page. If you still can’t decide, how about a virtual cash voucher or gift certificate available from R100 - R1500? This allows your recipient to browse, select and pay based on their preference(s). Once payment has been received the voucher(s) are available to download from your customer profile instantly. The system will also send you an order confirmation with a separate email to include your activity gift voucher link. Download the gift voucher from your customer profile, place in a personalised card and give to the gift recipient. Or forward the gift voucher via email to your gift recipient. Please familiarise yourself with our terms & conditions especially the cancellation policy and note that you are encouraged to take out your own personal liability insurance, especially when participating in potentially dangerous activities. Participation in all activities is entirely at your own risk. Step 4: Experience the ultimate! We're one of South Africa's earliest and longest standing online experience gifting stores; and have been giving the people of South Africa, amazing and memorable experiences since 2005. Below are a few reasons why you should choose us for your next bucket list experience, or experience gift for that someone special. 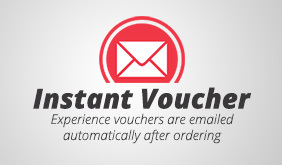 Instant electronic vouchers - once your order is paid for your voucher is automatically emailed to you. We've partnered with the likes of eBucks, Virgin Money, Absa Rewards and others. Refunds within 14 days. | All refunds will incur an administration fee of 10 percent of the value of the experience (with a minimum charge of R100) and should be requested in writing by the purchaser within 14 days of the purchase date. Exchanges | All vouchers can be exchanged without charge within four weeks from date of issue. Thereafter an admin fee of R100 will be charged per exchange transaction if processed four weeks after the voucher date of issue. Explore the vast Table Mountain Nature Reserve and its surrounds with this once-in-a-lifetime mountaineering adventure. The Bucket List Genie invites you to join her and a team of professional guides who have sound knowledge of the mountains to enjoy this awesome experience. No matter your appetite for adventure or preference, the team will help make your dreams a reality. Table Mountain offers a wide range of adventure opportunities, ranging from abseiling, climbing, caving and bouldering, to rock scrambling and hiking. Grab this opportunity to take in some of the most spectacular scenery of the Mother City, while breathing the fresh mountain air and enjoying a thorough workout at the same time. The Bucket List Genie is passionate about Table Mountain and has trained for several adventure marathons abroad in this very same Nature Reserve. She has the experience and passion to provide guidance, tips, and advice to help achieve your bucket list adventure goals. Book your Mountaineering Adventure with the Bucket List Genie and pro-guides today. This experience takes place regularly, is subject to availability and ideal weather conditions. All gear with snacks are included. Please dress correctly for this adventure and bring water, hat and sunscreen. Participation is at your own risk. Allow 2 hours for this experience. Your experience voucher will be sent via email once you complete your order. Cash value of gift certificate is valid for 3 years from date of issue. Outdoor activities that are postponed due to poor weather will be rescheduled free. All refunds should be requested in writing by the purchaser within 14 days of the purchase date. Refunds attract a 10% admin fee. All vouchers can be exchanged without charge within four weeks from date of issue. Extremely short turnaround time for calls, inquiries, bookings etc. You're fully covered up to R2 million. This combined with our 100% safety record ensures peace of mind.